After growing up in rural Minnesota with seven siblings, horses, sheep, ducks, dogs, cats, llama and Jimmy the Monkey, Matthew packed up and moved to Brooklyn to pursue painting. He traded his brushes for digital tools, working as manager / lead illustrator / photo retoucher for Advertising Arts, a NYC production house. He now lives in Austin, Texas with his wife and two kids. Matthew continues to create art for world-class brands, including Mercedes, Tom Ford, Chanel, Estee Lauder, BMW, Nikon, File, David Yurman, Harvard, The Museum of Modern Art, among others. His work can be found in the pages of Communication Arts. You can find Matthew on Creative Market, Gumroad and Behance. 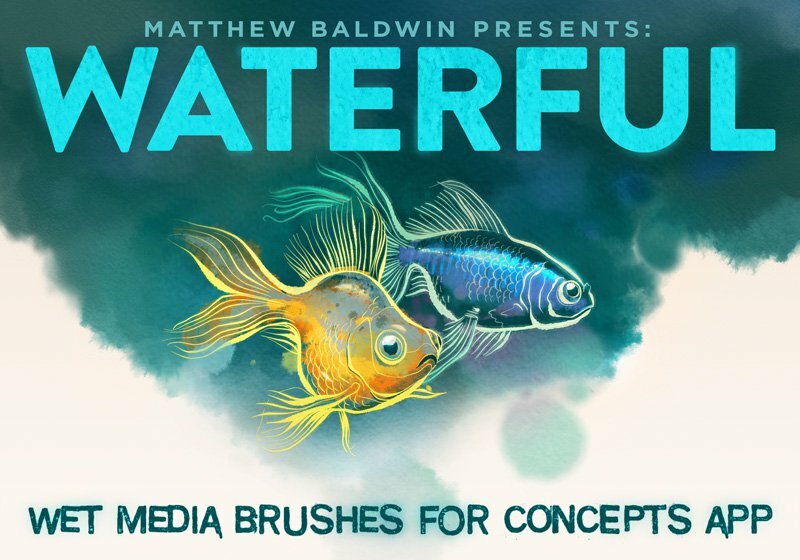 Introducing WATERFUL, a set of 43 wet media brushes made for Concepts. These splashy, loose brushes are harnessed to Concepts’ vector engine, giving you the freedom to play with expressive natural media effects while retaining the ability to edit, change and smooth strokes long after you’ve made them. Included are 32 watercolor variants and 11 spatter effects to keep the wet vibes flowing! 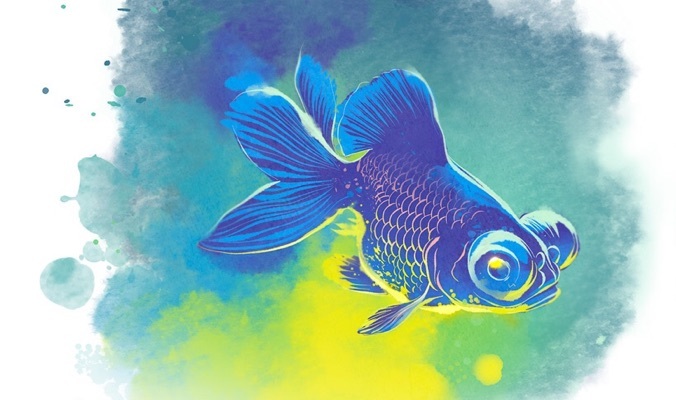 Read Matthew's design story in our interview: Digital Brush Design with a Splash.